The above verse makes it amply clear that men and women are part of the same sole, and hence they are equal in every aspects of life. With the advent of Islam, the socio-economic and political conditions of women improved significantly. However, during the period of Pre-Islamic Arabia there were few notable women who were very active in socio, political, economical and cultural life of this ancient land. With the implementation of orders of the Quran and Sunnah of Prophet(PBUH) women were given or they inherited many natural rights. But irony has been remained that the ‘textual interpretation’ of the Quran has, by and large, been patriarchal. It is one of the rules of interpretation that laws are given ‘meanings’ on in fact shaped by the ruling class, favourably. How and when women became the subject of laws (Sharia and other later development) is still highly debatable. However, it is evident that women are being subjugated by social morality that is sanctioned by religion, and enforced and implemented by elite and powerful men. The journey of liberation of women saw many downs rather than ups. The puritanical interpretation of Islam, it appears, confined the women in the four walls of veils. Though, there are many aberrations, the general rule has been social exclusion of Muslim women from common public life. Social space has its own nature and that is manipulated and shaped by those who occupy it. Social cohesion between men and women has been seen as ‘sin’ by some sections of orthodox and clergy class. It seems that such rudimentary social psyche has no place in the contemporary socio-economic and political scenario. Even before Arab spring, since 1990s, in the kingdom of Saudi Arabia, many Islamic feminists have been striving for ‘equal social space’. Most notable names are Maha Akeel, Manal al-Sharif, Rowdha Yousef, Fawziahal Bakr etc. It is pertinent to mention here that Muslim feminist/Islamic feminist falls into many marked categories that can be broadly divided into two parts: feminists who are fighting for their rights within the framework of Islam and feminist who go beyond the tenets of Islam. Those who falls in the first category feel that since, historically, interpretation of Quran and Sharia has been led by men, they are subject to change and review, to guarantee equal rights to the women. It seems that the first category is more logical, and hence it should be acceptable to the general Muslim social behaviour. As per Gender Inequality Index (GII) the rank of Saudi Arabia is 56 out of 157. GII also suggests that total participation of women in Parliament is 19.9% (2014) and total participation of women in labor force is 13% (2015). According to Global Gender Gap Index (GGGI) the rank of Saudi Arabia is 141st out of 144. The above ranking shows the most pathetic status of women. In recent years, especially since last two decades several promising efforts have been taken by the progressive leadership of Saudi Arabia. There are some notable examples in this regard. For example, King Abdullah in the year 2011 allowed women to vote in local elections. Women are now being allowed to be appointed to the Consultative Assembly. It is pertinent to mention that recent years witnessed more female graduates than males. These are some of the promising social changes occurred to ensure gender equality. However, considering the GII and GGGI, still the struggle for gender equality has long way to go. Occupying the equal social space is sine qua non and basic primer for the foundation of claiming gender rights. In this relation, Saudi Arabia witnessed two major movements that symbolised many aspects of claiming, in fact, snatching, natural rights guaranteed by the Holy Quran itself. These movements are Right to Drive and Anti-Male-Guardianship Campaign. The Right to Drive campaign gained so much currency not only in the orthodox kingdom but also at the international level. This campaign also got attention from many International organisations, Non-governmental organisations and global feminists alike. Recently, probably owing to international pressure and ever growing internal activism, government of Saudi Arabia seems to changing its social policies. 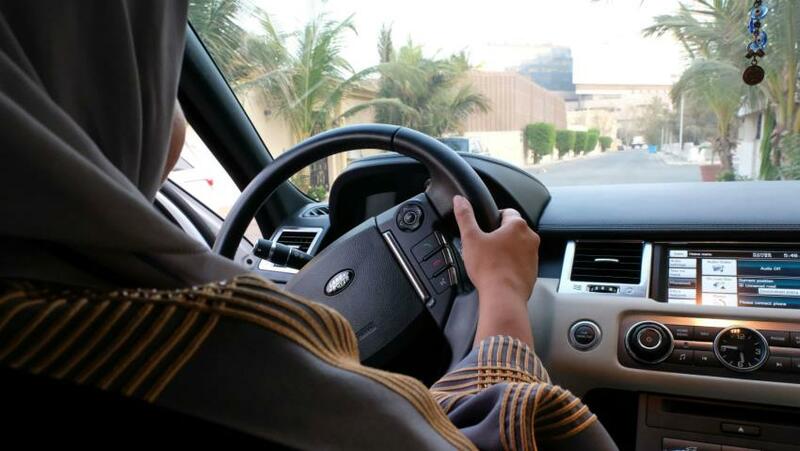 Granting women driving license is a very welcome step. It must be supported by other supplementary social policies. It is also important from the economic point of view. At some point of time the government has to change its economy from oil based revenue generation model to knowledge economy. To make this ‘transition’ possible and smooth fifty percent of the population cannot allow to be left behind. They must be given equal opportunity, right from attending modern educational system to the proper employment opportunities in almost all sectors of the economy. This is how true Islamic Ideals can be realised.